The final installment of our look at the top yachts to see at this years Monaco Yacht Show includes multi award-winning sailer Vertigo, and the first 26m WallyAce Kanga. Here are our final six Monaco must sees. 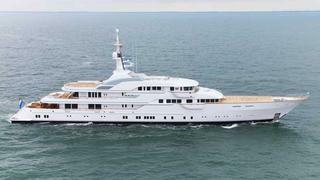 Delivered by Feadship to her sports-loving owner in July, RWD-designed 78.5m Hampshire II features a foredeck helicopter platform that can be transformed into a playing field for basketball, tennis, baseball, badminton and football. Thrill seekers can take the lift up to the crows nest and shoot down a zip wire to the water. 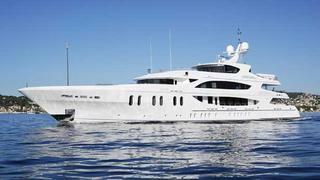 The yards first yacht, this 2009 Viareggio Superyachts launch was bought by design and property specialist Candy & Candy, to showcase its glamorous interiors. 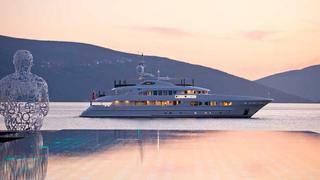 The 61.8m won a World Superyacht Award in 2010, and is at the show offered for sale. _Candyscape II _is listed for sale with Edmiston and Burgess, asking 47,500,000. Although she was launched by Alloy Yachts in 2011, the mighty, multi award-winning, 837GT Vertigo has been eagerly awaited and will be one of the stars of the show. 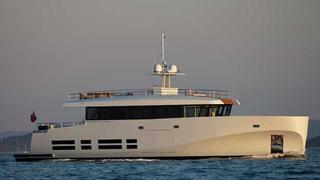 The 67.2m Philippe Briand design, with a Christian Liaigre interior, took 800,000 man-hours to build. This new launch from US yard Trinity Yachts combines a beam of 10.2m with a draught of just 2.4m, ideal for the shallows of Florida and The Bahamas where she will be based. The 57m sports a contemporary Evan K Marshall interior. 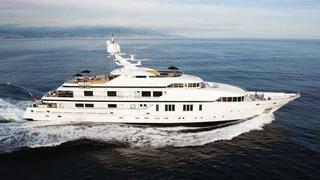 Lady Linda is listed for sale by International Yacht Collection asking $49.8 million and for charter with Burgess. The first 26m WallyAce, Kanga, splashed down in June. Her innovative displacement hull increases performance and reduces fuel consumption (she has a 5,000nm range at nine knots). Key to this is her efficient Wallybow, by Wally, Allseas and Luca Bassani Design  a vertical bow with a bulb. Comfort has also been considered and Kanga features over 50m2 of interior social areas and generous exterior areas including a 60m2 sundeck. Built for yard founder Frans Heesen, this 46.7m June launch from Heesen features a Dutch industrial interior theme by Bannenberg & Rowell, a main deck media room and upper deck owners suite.